Welcome to your uniform selection that Barcaldine Regional Council has approved for your wear and care. Your approved garment selection below include: skirts, pants, shorts and long sleeve shirts; blouses; suit jackets, cardigans pullovers and vests; dresses; maternity wear; as well as our casual Friday polo. 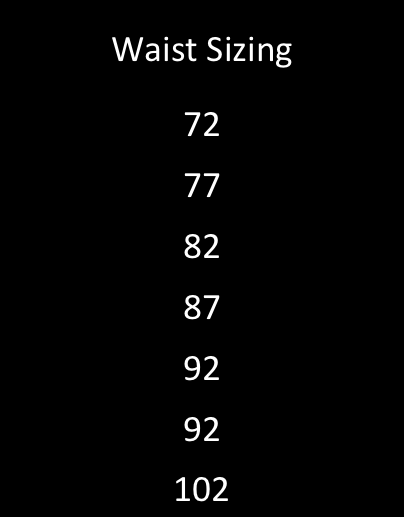 Scroll through your uniform range below and click the photo to enlarge. Click on 'Uniform Request' to open your order form. Complete your request as you scroll through your uniform range. Once you are satisfied your Uniform Request is correct, send it online by clicking on the 'Submit to Employee Services' button at the end of your order form. Your garments will be professionally embroidered with Council's corporate logo by Peter Taylors and delivered to Council for your collection. Uniforms generally have a 7 to 14 day turn-around, depending on garment availability by our manufacturers. Please take the time to read both the Uniform Policy and the Code of Conduct, as they establish guidelines and professional standards for your personal presentation that is expected of you while wearing Council's corporate uniform. Unexpected. Modern. Fashionable: this shirt is a front-runner for those that seek a uniform that reflects their own unique sense of business design and style. Exclusive, Yarn-dyed woven ‘dot’ pattern adds an urban element and raises visual appeal. Cotton-Rich fabric is easy care, comfortable and breathable. With the added performance durability of polyester yarn. It's tailored fit with a narrow collar, twin back pleats, adjustable cuffs and styled with a curved hem - allowing you to wear it in or out. It's neat, has a contemporary collar, and is shaped through the torso for a steamlined appearance. Available in two soft-toned colours, delivering a fresh point of difference. **Fabric care instruction: gentle machine wash and cool iron. The Springfield is a premium corporate shirting available for men and women. It's breathable and lightweight, making it perfect for warmer climates or those after a more cooler shirt. 100% Cotton with a layered check design that sets it apart from classic plaid. The Newport is a yarn dyed Gingham check in a cotton rich fabric, perfect for those after a premium breathable fabric with the benefits of easy care and stretch for comfort. Cotton-rich fabric provides a soft hand feel, with the durability of polyester. Yarn dyed gingham check for a premium look, with added Elastane for comfort and stretch. 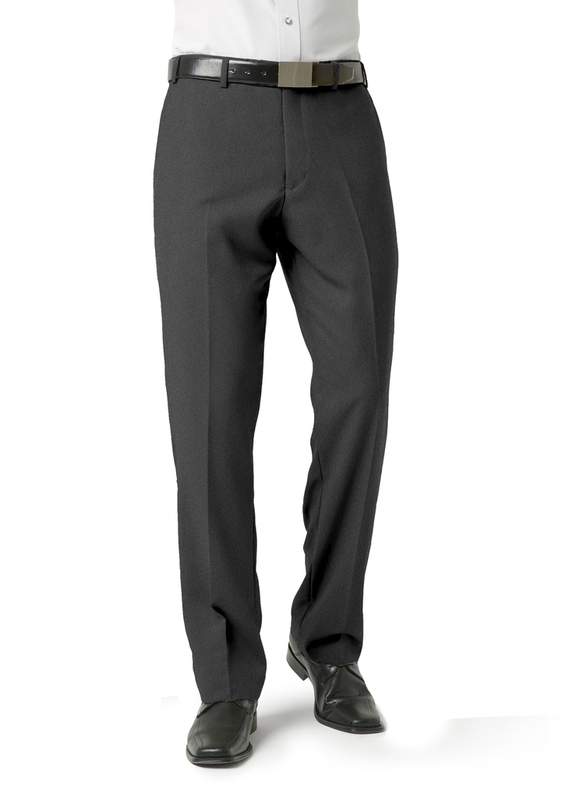 Move with ease in this stretch fabric that looks sharp all day. The Stretch Classic features a spread collar, placket front, single chest pocket, and adjustable cuffs. New Generation Biz Cool Mesh - smaller smoother weave feels great against the skin *Biz Cool performance: treated breathable polyester micro fibres gives optimum comfort with moisture wicking properties. Keeps you cool and dry. *Raglan shaped sleeve and contrast panel - A bold and striking look that will highlight Council's logo *Highest UPF Rating: 40-50+ Excellent. Schools and Kids teams love this Polo! *Fabric is fade and shrink resistant to look better for longer. Ribbed V neckline, armhole/cuffs and hem. **Fabric care instruction: gentle machine wash on wool setting. New Generation Softshell with our famous breathable BIZTECHTM technology. A lighter, stretchier more comfortable shell with our proven Inner Membrane technology. Keeps you dry with a water repellant rating: 3,000mm. Keeps you warm without overheating - Breathability rating: 3000mmNon-bulky and comfortable enough to wear indoors or whilst driving. Modern design and styling enhances your corporate identity without overpowering your logo. Mens and Ladies matching style designed to fit gender shape accordingly. 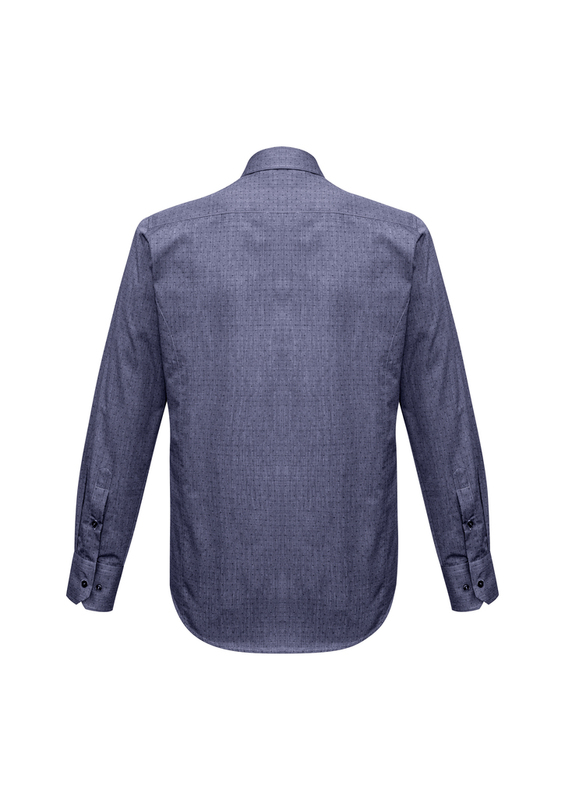 **Fabric care instruction: gentle machine wash.
A comfortable and well structured jacket can complete any outfit. With under-arm comfort pads, lining with silver piping trim, embroidery zip and double vents at the rear, and fully functional outer pockets. Premium wool blend suiting with polyester for durability. With the added stretch and comfort of Elastane completes the stretch polyester lined jacket. **Fabric care instruction: Dry clean only 30°C. A professional approach to casual workplace dressing. When worn with a dress shirt, chinos add a down-to earth and approachable element to your uniform. Garment washed for a soft, lived-in look that’s comfortable from the first wear. Natural breathable cotton fabric with added elastane allows maximum flex when moving and extra comfort when seated. Modern urban fit that sits comfortably just below the natural waist with a slightly slimmer leg that’s still roomy where it counts. Ready to wear with a finished hem with added length so it can be rolled up if desired. **Fabric care instruction: gentle machine wash and cool light ironing. 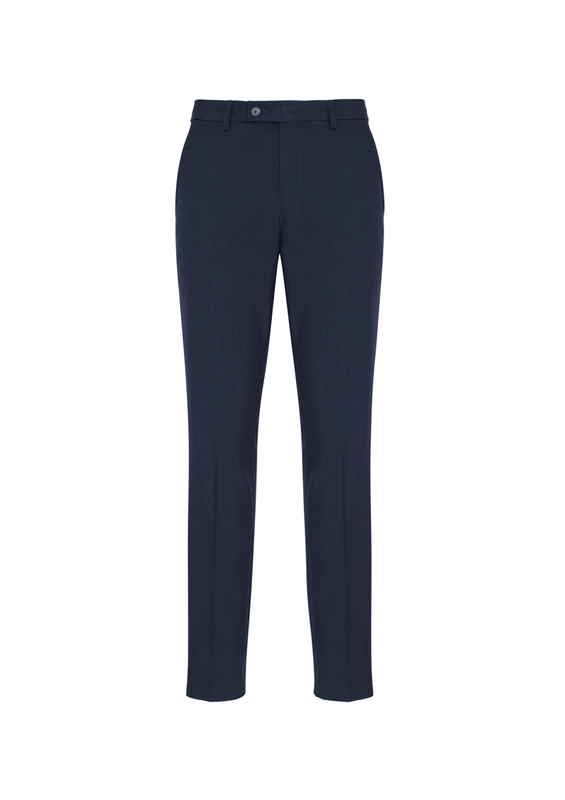 The ideal office pant for those that like a little more room at the hip/seat. 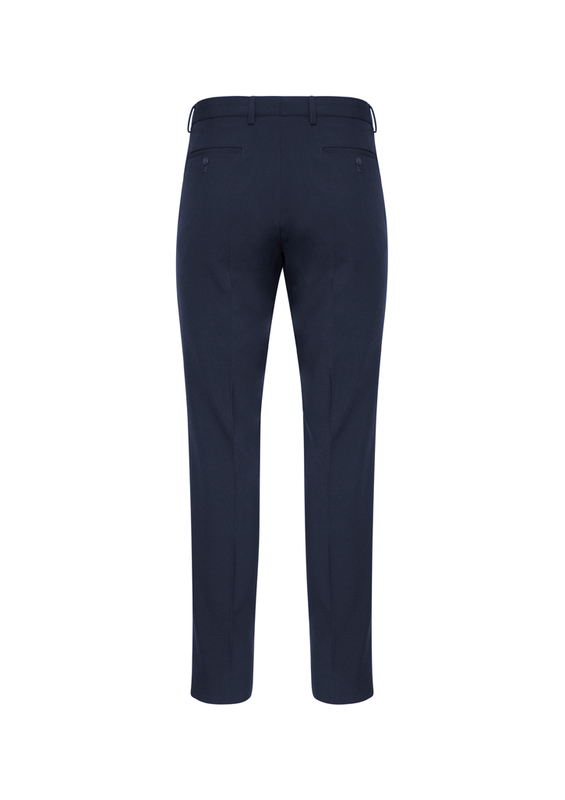 Our single pleat pant offers just the right amount of ease without the bagginess of a traditional double fronted pleat. Modern style that fits comfortably through the hip and thigh. Leg shape is gently tapered and not too wide or too slim. Regular fitting mid-rise that sits just below the natural waist and suits a wide variety of body shapes and sizes. Functional front side pockets and 2 buttoned back pockets for wallet or phones. Easy-care poly-viscose fabric has been woven with mechanical stretch allowing a touch of ease when seated or moving. Machine washable, quick drying with only light ironing required. Ready to wear with a finished hem and additional 5 cms hem allowance for longer alteration if required. Mechanical stretch for extra comfort. A perfectly tailored flat front pant in a classic fit. Designed to be your year round ‘go-to’ pant. Modern style that fits straight through the hip and thigh. Leg shape is not too wide or too slim. Regular fitting with a comfortable mid-rise that sits just below the natural waist and suits a wide variety of body shapes and sizes. Functional front side pockets and 2 buttoned back pockets for wallet or phones. Easy-care poly-viscose fabric has been woven with mechanical stretch allowing a touch of ease when seated or moving. Machine washable, quick drying with only light ironing required. Ready to wear with a finished hem and additional 5 cms hem allowance for longer alteration if required. Mechanical stretch for extra comfort. A well dressed alternative to our Classic Mens Pant. Cut slightly slimmer for a closer more contemporary fit. Trend driven style that fits slim through the hip and thigh with a narrower leg. Regular, mid-rise sits just below the natural waist and its most comfortable point. Functional front side pockets and 1 back pockets for wallet or phone. Easy-care poly-viscose fabric has been woven with mechanical stretch allowing a touch of ease when seated or moving. Machine washable, quick drying with only light ironing required. Ready to wear with a finished hem and additional 5 cms hem allowance for longer alteration if required. Mechanical stretch for added comfort.